The ancient Earth was profoundly alien. How do we distinguish between the living and non-living in the fossil record? is the Frederick S Danziger associate professor in the department of the history of science at Harvard University. She is the author of Synthetic: How Life Got Made (2017). Last spring, the geobiologist Dominic Papineau and colleagues reported that fossilised microorganisms were identified in 3.77-4.28-billion-year-old iron-rich rock in Quebec: hematite tubes and filaments whose appearance is similar to microorganisms that today live in hydrothermal vents. Others dismissed their findings as ‘dubiofossils’, a term the geologist Hans Hofmann coined in 1972 to describe controversial fossils. ‘Fossils,’ Hofmann wrote, were proven biological; ‘pseudofossils’ resembled life but were inorganic; ‘dubiofossils’ (also known as Problematica or Miscellanea) were equivocal. No one is sure whether either of these findings has discovered ancient petrified organisms or not. For centuries, long before ‘biology’ coalesced as a discipline in the early 19th century, scientists struggled to understand what constitutes ‘life’. Millennia ago, Aristotle’s Scala Naturae (ladder of being) described arrayed nature on a continuum that advanced in perfection from rocks to humans (the Catholic Church crowned that ladder with God and the angels; Carl Linnaeus quietly removed them from his own taxonomy). The 17th-century naturalist Athanasius Kircher believed that vitalism was impressed in different substances, with mineral forces forming some fossils in an attenuated process similar to the growth of plants and animals. German Romantics of the 19th century such as Novalis and Johann Wolfgang von Goethe were captivated by caves, and thought the same individuating forces (Triebkraft) generating crystals climaxed in humans. ‘Life itself’ did not exist. All was organic. Today’s textbooks teach high-school students that life is marked by specific capacities – reproduction, metabolism, adaptation, self-organisation, growth. But biologists and other scientists are less resolute about what makes life unique. In 1943, Erwin Schrödinger answered the query ‘What is Life?’ as a physicist – it is a negative entropic system, like any other. Such thinking influenced mid-century molecular biologists, who borrowed cybernetic theory to think of life as signalling servomechanisms and homeostats made up of molecular ‘information’. DNA is still called a ‘code’ for a reason. At the close of the 20th century, different scientists also defined life according to chaos theory, thermodynamics and other physical processes. Computer scientists believed that they could generate artificial life on a computer. Geologists examining fossils in rocks help us to gain purchase on the conundrum of what constitutes life by identifying its remains. For relatively recent fossils – think dinosaurs – the answer is straightforward. Though extinct, their bodies look much like extant organisms: bilaterally symmetrical, bearing notable features such as skeletons, teeth and tails. But life was altogether different before the Cambrian Explosion 539-541 million years ago when, in an evolutionary paroxysm, most of the animal body forms we recognise today suddenly appeared. What, then, of the remains of first life-forms, those that lived and died on an Earth almost entirely unlike our own, at a time before continents accreted, when sulphurous seas stretched across a young planet beneath a pale Sun in an atmosphere devoid of oxygen, when tides surged and months lasted a mere 20 days? How would one recognise fossils that are 2.5 to 3.9 billion years old? This is one of the questions driving geobiology, a discipline that originated in the mid-20th century with precursors in older fields of palaeontology, geology and the life sciences. The big presumption of geobiology is the notion that Earth and life are mutually informing forces, and that our planet has changed in concert with the evolution of life. Searching for fossils on early Earth, a planet in many ways profoundly different from Earth today, resembles efforts to figure out what life might look like on Mars, icy moons and exoplanets. Such problems are not new. 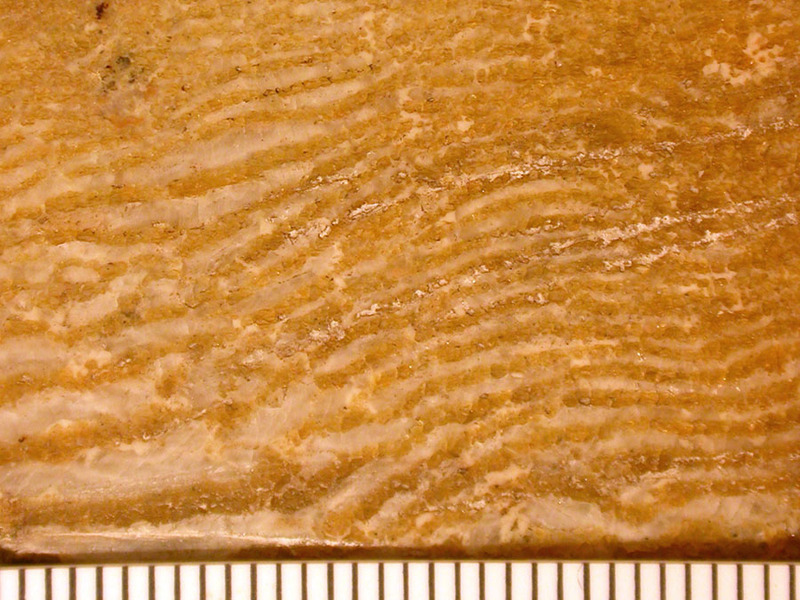 In the mid-19th century, naturalists debated whether a strange entity named Eozoön might be the first lifeform; mid-century geobiologists setting the guidelines for research in their new field hotly debated how to sort ‘real’ fossils from lifelike imprints in stone. Today, geobiologists’ work also helps us to think over how life on other planets might be identified. Though little known, a series of geological discoveries in the mid-19th century first suggested that there might be a longer history of palaeontology, one that reached deep into Earth’s antiquity, even to the origins of life itself. In 1858, the rock beneath the Cambrian stratum was not called pre-Cambrian; it was simply ‘Azoic’, because no one believed that life could be found there. Yet that same year, a collector for the Geological Survey of Canada found something curiously lifelike in Azoic limestone in the Laurentian stratum: ‘peculiar laminated forms, consisting of alternate layers of carbonate of lime and serpentine, or of carbonate of lime and white pyroxene’. William Dawson, a former student of Charles Lyell and then principal of McGill University in Montreal, examined the rocks. In On the Origin of Species (1859), Charles Darwin noted (in what is now known as ‘Darwin’s Dilemma’) that, if his theory of natural selection were correct, the fossil record should show organisms ‘before the lowest Silurian stratum was deposited’. Following Origin’s publication, scientific debate over the existence of originary fossils was volatile. Yet finding them proved difficult – if Darwin was right, then where were they? Dawson was an anti-Darwinist, but he recognised the patterns he saw as undoubtedly organic – he believed them to be the skeletal remains of giant foraminifera (single-celled organisms that grow hard external shells). In arguing that this rock was truly of organic origin, Dawson focused on what he termed the fossil’s ‘beauty and complexity’, noting a series of microtubules he was certain could not have been formed by purely physico-chemical means. In a patriotic flourish, standing before the Natural History Society of Montreal in 1865, he named the organism, which he believed to be the progenitor of all life on Earth, the ‘Dawn Animal of Canada’, or Eozoön canadense. I, Eozoon canadense, … found myself growing upon the sea-bottom, and know not when I came. I grew and flourished for ages, and found no let or hindrance to my expansion, and abundance of food was always floated to me without my having to go in search of it. Eozoön was a pliable discovery. If you were a geologist or naturalist in the 1860s, whether or not you believed in Eozoön, it was useful to bring it up in an argument. If Eozoön was an Ur-animal, then perhaps it was the first of Darwin’s noted missing pages in the fossil record. Or perhaps, if between Eozoön and the second-oldest fossils was but a silence of millennia, then it could be evidence against natural selection: perhaps creatures had stayed much the same, or arose multiple times, but never evolved. Eozoön skeptics, however, claimed that the fossil was a mere ‘pseudomorphism’, appearing as if alive but not so. It was, they wrote, either ‘imitative’ or a ‘trace’ of life, but its form was simply curiously regular, not organic. Despite its apparent beauty and complexity, Eozoön’s popularity waned in the last decades of the century. In 1888, the journal American Geologist polled 14 prominent geologists, asking them whether ‘Eozoon canadense [is] of organic origin’. Only three said yes, including both Dawson (who nominated the fossil) and Charles Doolittle Walcott, who would later be credited for discovering the Cambrian Explosion in the Burgess Shale in 1914. The Eozoön controversy had run out of steam, and Eozoön was unmasked in 1894 as just another rock: limestone embellished with a bit of serpentine. 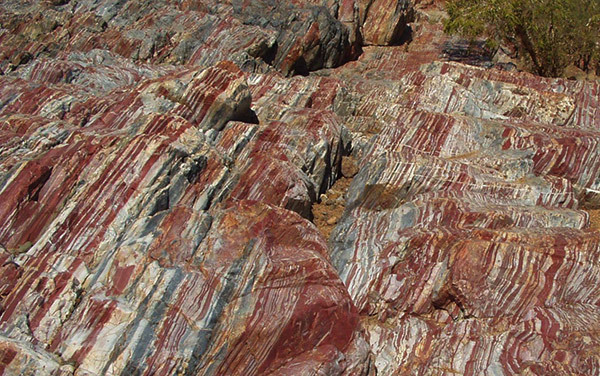 For the next half-century, few scientists pursued research into Precambrian fossils. Then, in 1953, Stanley Tyler, a mineralogist at the University of Wisconsin, discovered the Gunflint Iron. While trout fishing in Lake Superior, he spied from his boat an outcrop thick with stromatolites – giant architectonic reefs of fossilised microbes. Under the microscope, Tyler also found microscopic, lifelike forms embedded in chert, ‘providing’, in his words, ‘a window through the Precambrian metamorphic veil’. Tyler and his colleague, the palaeobotanist Elso Barghoorn at Harvard University, determined that 1.9 billion-year-old spheres and filaments had fossilised. In 1954, in the pages of Science, they made a brief announcement of their discovery of Precambrian cyanobacteria. In 1965, the palaeontologist Preston Cloud independently verified Tyler and Barghoorn’s discovery, putting to rest the worry that the fossils ‘could have been produced by non-vital processes’. He declared them ‘the most ancient recorded structures which closely resemble specific living organisms’. For the first time, the geological community universally endorsed the existence of Precambrian fossils, launching modern geobiology. A Precambrian land rush ensued. In 1965, William ‘Bill’ Schopf, Barghoorn’s graduate student, identified 800-million-year-old microfossils in the Australian Bitter Springs Formation. In the 1970s, Barghoorn and another graduate student, Andrew Knoll, discovered 3.4-billion-year-old fossilised bacteria in Australia. Suddenly, ancient life was thickly salted beneath our feet. If, in the 19th century, complexity indicated life’s form, by the 1970s scientists saw that simplicity discerned the first lifeforms. More often than not, fossilised microbes were spheres or filaments, which could readily be mimicked by bubbles, crystals and other inorganic artefacts. A controversy, literally about the shape of life, lay in wait. Schopf, the PPRG’s founder, soon reported that the Warrawoona fossils were of doubtful provenance, citing problems of site-specificity and replicability. Luckily, Schopf happened to have Warrawoona fossils of his own. He claimed that these microfossils definitively proved not just that microbial life teemed as early as 3.46 billion years ago, but that it was photosynthetic, a full billion years before the next-oldest evidence of photosynthesising microbes. In a series of papers between 1986 and 1993, Schopf published his evidence. Schopf’s work did not convince everyone, least of all the geologist Martin Brasier at the University of Oxford. Brasier reported that Schopf had sent his graduate student Bonnie Packer to Warrawoona in 1987, and that Schopf made a press statement attesting to having discovered the oldest known microfossils before Packer had returned from the field, and before she had evaluated the samples. After examination of the samples in the lab, Packer grew incredulous, and chose not to participate in further research into what was by then being celebrated as Schopf’s ‘Apex chert’ fossils. Schopf’s Apex chert fossils stood in as exemplars of every dubiofossil collected by a geobiologist seeking life in the Archean Era. As Henry Gee later put it in the pages of Nature: ‘It is hard to tell the difference between a bacterium – especially a fossil bacterium – and a bubble.’ Richard Kerr posed a similar question in Science: are these the ‘earliest signs of life [or] just oddly shaped crud?’ Brasier diagnosed the problem as one of deduction: for many geobiologists studying early life, ‘If it looks like a cyanobacterium … then the most parsimonious explanation is that it is a cyanobacterium.’ Yet morphological similitude – or comparison of ancient to extant life – was no longer enough; ‘lifelike’ dubiofossils were more often than not inorganic patterns. The Apex chert controversy clarified for geobiologists the limits of identifying early life on Earth, helping them to formalise a series of rigorous strategies for proving the likelihood that a fossil had imprinted either early life on Earth or life on other planets. While the majority of geologists have now rejected the Apex microfossils, papers disproving the Apex chert continue to be published, most recently last year, when David Wacey diagnosed the Apex chert as ‘not microfossils, merely blobs of carbon, fortuitously arranged’. While the Apex chert lapsed from a dubiofossil into a pseudofossil, the decades-long controversy over its provenance forced geobiologists to rethink how they assess life’s form in ancient stone. In recent years, geobiologists have distanced themselves from morphology as a sound indicator of ancient life. To answer the question with which I opened – what do the remains of life look like? – they look a lot like all sorts of other things. Or, to turn the question on its head, lots of old things look a lot like what we expect old life to look like, whether in its form, complexity or simplicity. If once ‘beauty’ and ‘complexity’ were markers of life, and later geobiologists sought early life in its starkest simplicity, now neither is sufficient. Nothing visibly distinguishes the vital from the non-vital when looking for ancient life. Simply put, the search for ancient life is no longer a search for ancient lifeforms. Geobiologists now focus instead on biological, geological and mineralogical contexts, such as the surrounding palaeoenvironment in which the rock lithified, signs of degradation during fossilisation, as well as analytic biochemistry and chemical biomarkers. Such criteria, they hope, will more fruitfully differentiate, to borrow the language of the geologist John Eiler, ‘the oldest fossil’ from ‘just another rock’. As geobiologists increasingly join forces with geochemists, geochronologists, stratigraphers and geomagnetists, such a diverse and stringent array of non-morphological criteria will be utilised in concert. The problem plaguing micropalaeontological research now extends to astrobiology, the search for life beyond our own planet. Put simply, if geobiologists cannot identify what life looks like here, what chance do they have of doing so for extraterrestrial life? 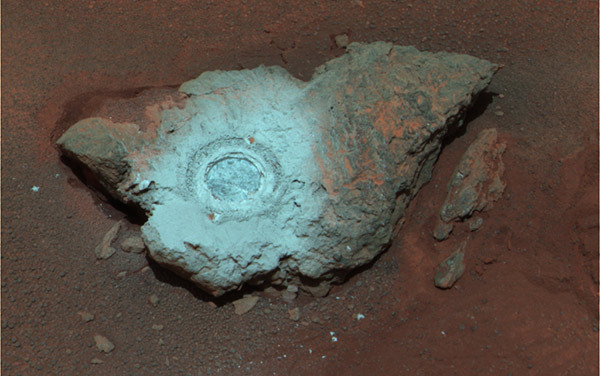 One irony of this tale is that Schopf, who continues to champion the Apex chert, was the same geobiologist who, at a NASA press conference in August 1996, used his own dubiofossils to cast doubt on the biogenicity of the Mars meteorite ALH84001. ‘I’ll show you the oldest evidence of life on this planet,’ he said in the news conference, and showed images of the 1993 micrographs of Apex chert microfossils. ‘These are demonstrably cellular … these are demonstrably fossils.’ The criteria that geobiologists had developed to test the Apex chert dubiofossils, he insisted, must be applied to all extraterrestrial dubiofossils, and this meteorite didn’t pass his test. As Gee later summarised: ‘That is the name of the game for claims of life at the extremes of time and space.’ No clear line demarcates fossilised life from non-life, here or elsewhere, whether in the 1860s, the 1960s, or today. The question of what life is or is not, what it does or does not look like, or how or when it did or did not arise (or how often it has arisen) are questions that researchers always pose within the context of ongoing theories and commitments – to natural selection, to palaeontological conjecture, to whether life is understood as substance, process or self-assembly. When we ask where life came from and what it looks like, we are asking which qualities define the contours of life – pattern or structure, simplicity or complexity, form or information, metabolism or reproduction. This means that life is a concept – it bears meaning and the force of signification; it carries historical baggage, philosophical expectations and scientific framings. Life is something about which people – life scientists and others – must be persuaded. But of course, to say that life is up for debate certainly does not damn the scientists who seek it and sometimes stumble upon its wily facsimiles. On the contrary, it means that our theories of life are spectacularly lively. The Mars 2020 Mission will collect new rocks and might instigate renewed debate about extraterrestrial lifelike fossils. We don’t yet know what fantastic forms these might take, but history suggests that many Martians will be, at best, dubious.